Q. How do I find theses and dissertations? 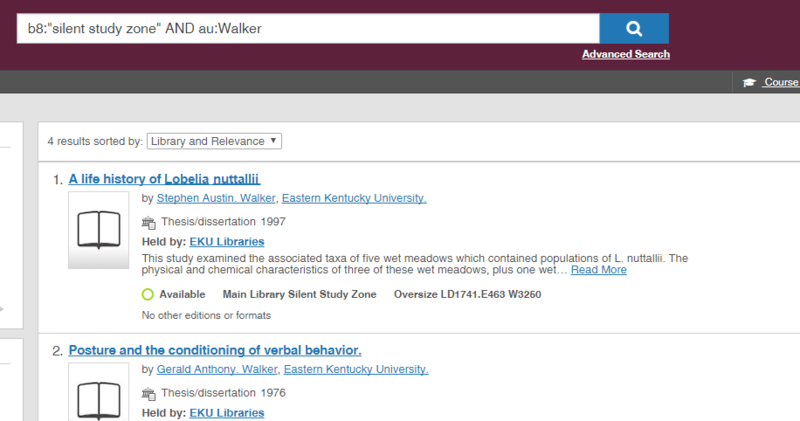 How do I find theses and dissertations written by EKU students? Theses and dissertations written by masters and doctoral students worldwide at academic institutions across the country and the world can be found in the Dissertations & Theses Global database. You can easily search for publications on a topic or search for publications by a known author. 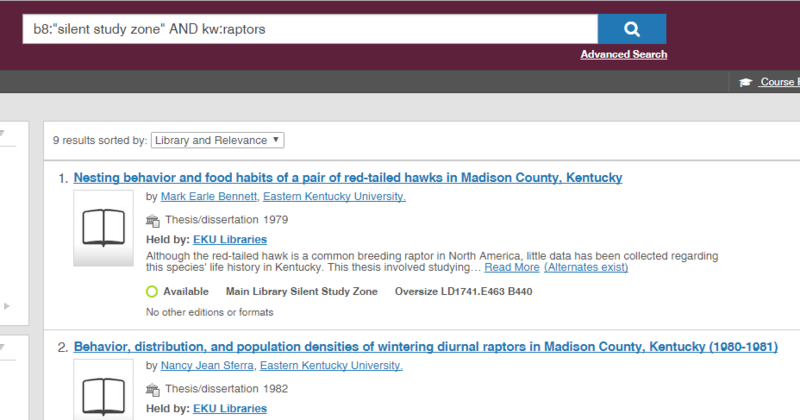 EKU theses and dissertations written starting Fall 2010 and after can be found in both Dissertations & Theses Global and Encompass Digital Archive. All theses written prior to Fall 2010 are available in print in the Main Library Silent Study Zone. Browse the list of print EKU theses.